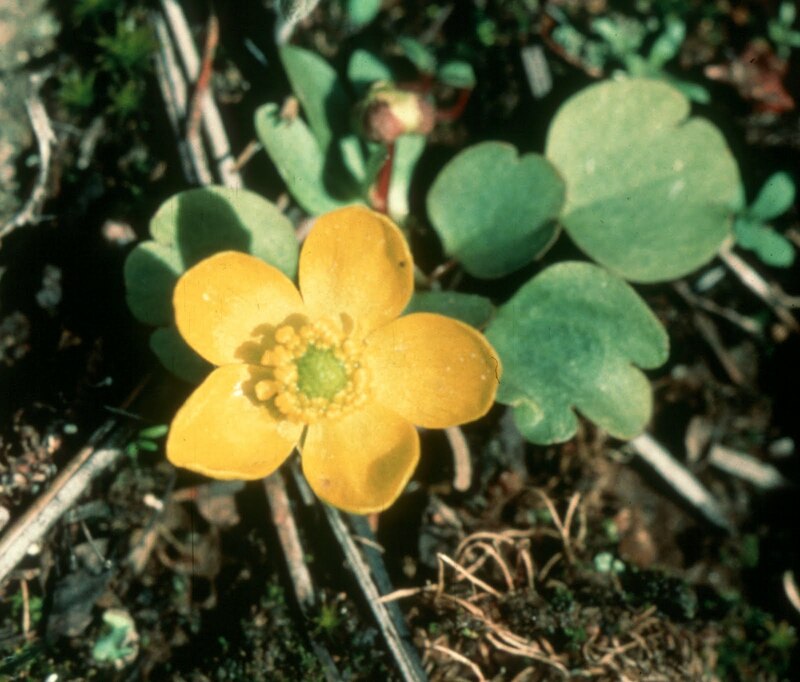 Susan Ballinger’s suggestions for resources that can help in your wildflower explorations. April is a great month to explore our region’s shrub-steppe to see blooming wildflowers. A first step is to identify lands and trails that are open to the public. For the Wenatchee Foothills Trails, visit the Chelan-Douglas Land Trust (CDLT) website for a trail map. Or, stop by a local Forest Service or Bureau of Land Management office to get maps and hike suggestions from their friendly front-office staff. The Washington Department of Fish and Wildlife offers a great publication, North Central Washington: Wildlife Viewing Map for Highway 97 that identifies 36 public land sites between Ellensburg and Oroville for watching wildlife and often, wildflowers. The Wenatchee Outdoors website offers 9 local hike ideas in their guidebook under ‘Nature-Flower-Birds. Once you pick a location, it is nice to take along a list of wildflowers documented at that site. 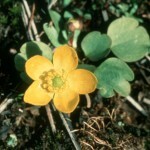 The Washington State Native Plant Society (WNPS) offers native plant lists by county with 41 for Chelan, 8 for Douglas, and 32 for Okanogan county. A fun way to study-up at home before venturing into the field is to use on-line photo identification guides. The University of Washington Burke Museum Herbarium has stunning photographs and detailed descriptions of all Washington plant species. Locally, CDLT offers a localized searchable photo field guide to over 60 of the most common wildflowers in the Wenatchee Foothills. One of the best ways to learn wildflowers is to go on a guided trip. Across Washington, there are 12 native plant society chapters, including the Wenatchee chapter, and each offers a series of free wildflower walks available to the public, all listed on the state website. Locally, several wildflower walks are offered in mid-May by the Leavenworth Birdfest and by the Chelan-Douglas Land Trust. Plan to take a self-guided tour any day at the native plant demonstration garden located at the Okanogan & Wenatchee National Forests Forest Supervisor’s Office at 215 Melody Lane in Wenatchee. Thirty-two species of native wildflowers and grasses are labeled and easily visible in the artistically designed garden. It is helpful to have a wildflower photo field guide to carry with you when you hike. Three good options for our region include Northwest Dryland Wildflowers: Sagebrush and Ponderosa (Northwest Wildflowers Series) by Dana Visalli and David Hancock (2005); Sagebrush Country: A Wildflower Sanctuary by Ronald J. Taylor (1992), or Plants of Southern Interior British Columbia and the Inland Northwest by Robert Parish (1996). Request these through the North Central Regional Library or at a local bookstore. A handy tool to carry in the field is a ten-powered hand lens that allows you to look closely inside flowers. These are available at local orchard supply stores and range from $10-45. Be sure to bring along a camera, pencil and field notebook to gather information to take home to help you identify the species. Sketch a picture of the entire plant, indicate the size, and record the type of soil. Draw a detailed picture of the flower, including the internal parts. Later, use your notes with on-line resources to make a best-guess at identification. Please don’t pick our native plants. Leave them in their habitat to serve as food and shelter for animals, to allow for seed production, and to be lovely flowers for the next visitor to enjoy. To keep from trampling our native plants, stay on designated trails and avoid cutting switchbacks and using shortcuts. A good way to introduce children to native wildflowers is to take them to “Coyote’s Corner” at the Wenatchee Valley Museum and Cultural Center. An array of pressed plants are displayed in a colorful room painted to represent local habitats. You can download full page coloring sheets of many native wildflowers. 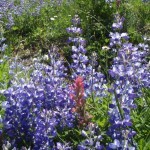 Visit the Wenatchee School District website to view several slide shows featuring native wildflowers. These resources are used by teachers to prepare students for their annual 1st grade science field experience hiking in a local shrub-steppe preserve. Learning about wildflowers is a great way to increase your enjoyment of being outside in our diverse and scenic landscape. Let the bright yellow of blooming balsamroot entice you to get out this month to see the wildflowers! Here’s a sample of guided walks and natural history programs around our region this spring, all free and open to the public! Okanogan Conservation District invites the public to help plant 10 kinds of common native shrubs along the Johnson Creek banks in Riverside, north of Omak. April 15 and 16. Call for details. 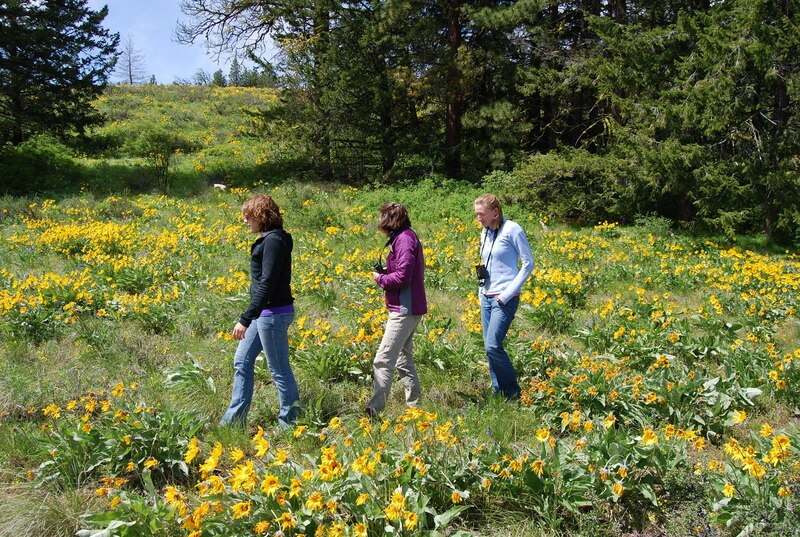 Okanogan chapter of the Washington Native Plant Society offers a series of wildflower walks throughout the region during spring and summer. The walks are led by local experts who like to educate others about plants. The May 12-15 Leavenworth Bird Fest offers bird and wildflower field trips, including a Sauer Mountain walk on May 13 and two Ski Hill walks on May 14. Call after April 29 to reserve your spot as these trips fill quickly. 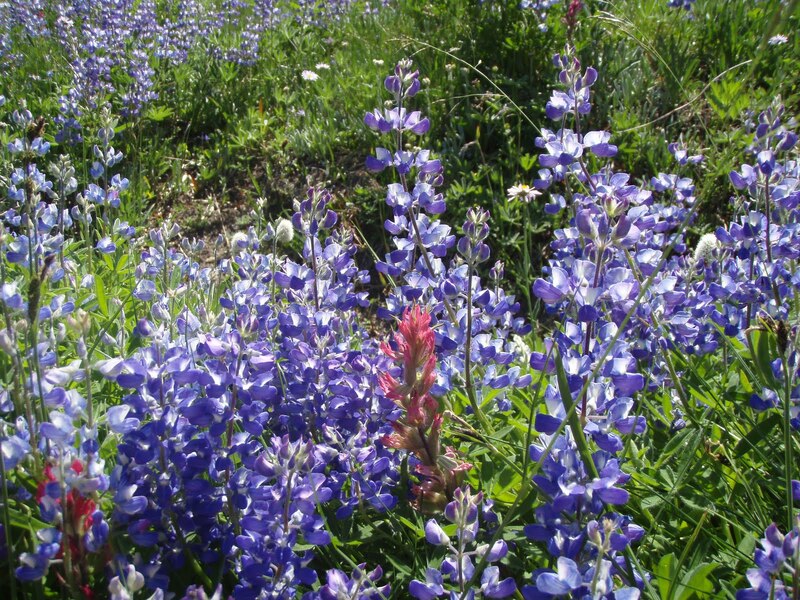 Wenatchee chapter of the Washington Native Plant Society offers two public wildflower hikes. Call trip leaders for more information. On June 26, Julie Sanderson (662-5261) will lead a 3-mile walk to Clara Lake. On July 2, Ted Alway (548-4384) leads a 4-mile hike to Wedge Mountain. Okanogan-Wenatchee National Forests supervisor’s office, 215 Melody Lane. Take a self-guided tour any day at the native plant demonstration garden, where 32 species of native wildflowers and grasses are labeled and easily visible in the artistically designed garden. Okanogan Highlands Alliance offers an educational class featuring the natural history of the region on May 6. 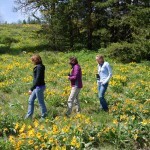 Spring and summer interpretive hikes and restoration work parties will be listed at okanoganhighlands.org/education. Methow Conservancy hosts a First Tuesday Lecture Series, offering a free community lecture, presentation or discussion focused on natural history, ecology or conservation topics. The Nature of North Central Washington celebrates the rich diversity of life that makes this portion of the Northwest special. The 12-minute video explores the natural systems and species that characterize the alpine, coniferous forest, shrub steppe and freshwater habitats of the north central region of Washington state. The program combines the expertise of regional scientists with that of local residents to create a portrait of biodiversity resources along with the actions people are taking across the region to conserve this natural wealth. Illustrated with photographs contributed by more than 50 local community members, The Nature of North Central Washington serves as a platform for developing additional place-based programs that focus on individual counties or habitat types and contribute to a greater understanding of the biodiversity resources of the region. Copyright © 2008-2019 IRIS. All rights reserved.